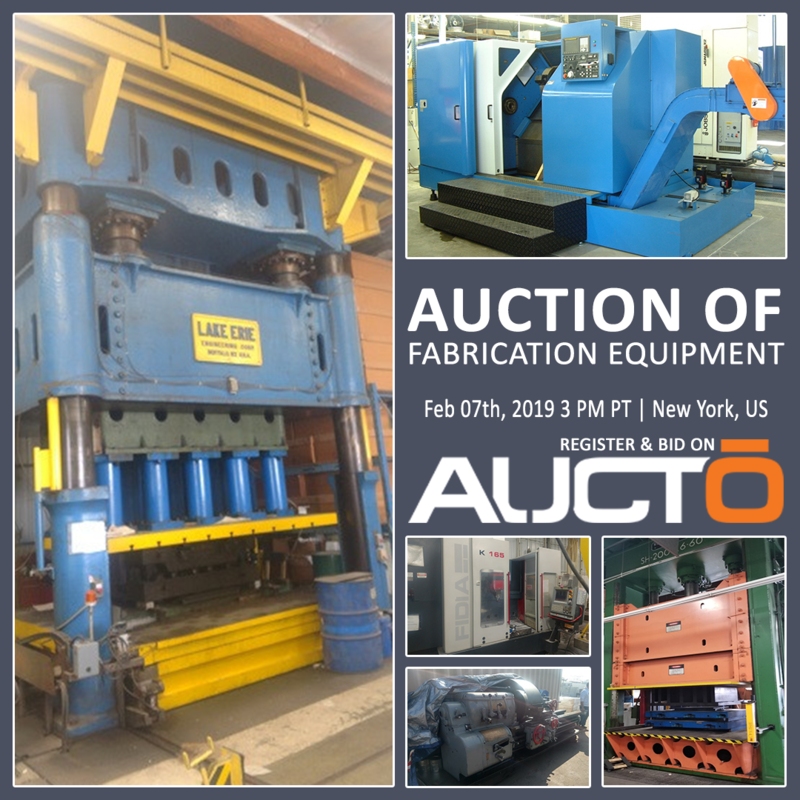 CNC Machining Centers, Blanchard Grinder, Tools in , New York by Aucto Inc.
Payment in Full within (24) hours after invoice. Wire Transfer ONLY. Must add $30.00 wire fee to your payment when sending. Thank you. All equipment to be removed by January 31, 2019. All Riggers must provide certificate of insurance to Auction Firm before they will allowed to remove equipment.